Personal expenditures encompass everything from major, big-ticket buys, like homes and cars, to everyday consumer needs such as clothing and furniture. All told, the spending burden is substantial, challenging household money managers to find adequate resources to cover obligations. Creative personal financiers lean on various strategies in order to keep up with monetary demands. In some consumer sectors, namely home and car sales, buying second-hand is a routine course of action, passing well-built structures and vehicles from person to person. The system is practical and sound from a number of standpoints. It certainly wouldn’t make sense to build brand-new housing for each occupant, and extracting the most service from each vehicle is an environmentally sound practice. But shopping second-hand for cars and homes also offers economic benefits, bringing affordable transportation and housing to those in need. With so many apparent advantages to buying pre-owned housing, adopting the same approach for other purchases can indeed bring about similar benefits. Here are a few examples. Car-buyers face an early decision when planning for automotive purchases. Whether to buy new or used poses a worthy question, prompting would-be motorists to weigh the benefits of each approach. Affordability concerns are paramount for most cost-conscious buyers, so finding the resources to fund a purchase is the first order of business. Do you have good credit references? If so, conventional financing may be available, influencing your decision whether to buy a new car or pursue pre-owned alternatives. If your credit history is suspect, your financing options may be limited to various loans extended to bad credit applicants. In either case, exploring pre-owned opportunities can yield substantial automotive value, without sacrificing performance or personal preferences. Cars depreciate quickly, so new car buyers sacrifice substantial equity during the first years of ownership. If your budget is limited, the second-hand market provides more bang for your buck, including certified pre-owned vehicles, tested and endorsed by manufacturers and their dealer representatives. Staying on the cutting edge of technology carries a substantial price. Not only do advances bring new devices and electronics to market, but manufacturers regularly update their existing products, adding new features and options. If you are committed to owning the latest and greatest electronic devices, you’ll pay a premium, but if you can reconcile yourself on step behind the cutting edge, you’ll save electronics, ranging from smartphones to big screen televisions. In the not too distant past, the hardest part about closing second-hand deals was connecting buyers and sellers. Gone are the days when a newspaper advertisement was your best approach to unload pre-owned consumer goods. Enhanced communication abilities and online marketplaces have changed the playing field, giving sellers a forum and steering deal-hunters toward pre-owned goods. Craigslist, eBay, and countless specialized forums accommodate listings, exposing items for sale to wide viewership. Although some sites keep a portion of the sale price, the venues still represent the most effective form of marketing for second-hand sellers. Smaller household items routinely sell on national sites for shipment across the country, but local sites are more appropriate for pick-up only items, like furniture, appliances and other bulky home furnishings. In fact, many municipalities offer “safe zones” for making transactions in public places, making it safer to conduct business with unknown sellers. Fashion is cyclical, so yesterday’s tired styles are often tomorrow’s hottest looks. 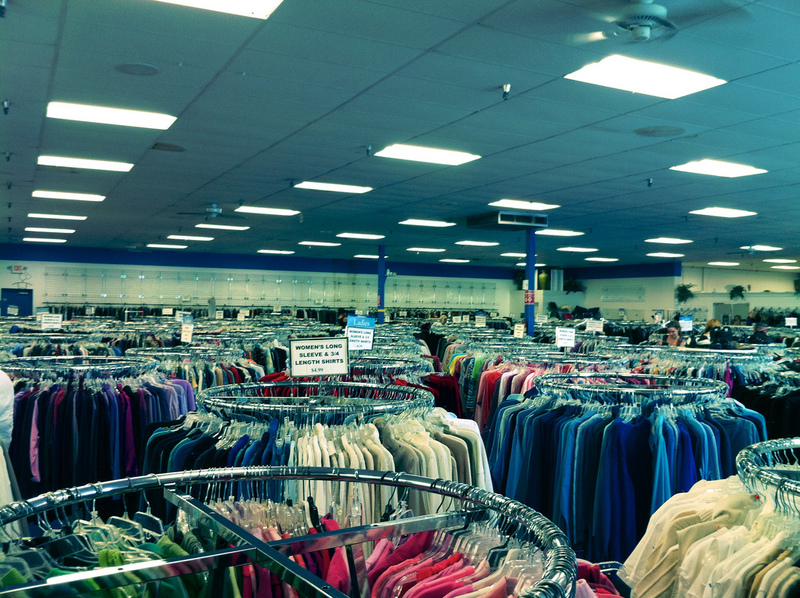 From estate and rummage sales to thrift shops and vintage clothing stores, gently used articles are available for a fraction of the cost of new clothes. Children’s clothing, in particular, furnishes a steady stream of second-hand goods, often in like-new condition. For parents on a budget, clothing swaps and resources dedicated to sharing pre-owned kids clothes are indispensable resources. And for college students with little money to spare, vintage and pre-owned clothing makes a statement on campus, without substantial spending. “Reduce, reuse, recycle” is a popular mantra, reflecting consumers’ increased attention to sustainability and environmental concern. If you are committee to the principle, you can do your part by reusing everything from clothes to cars, saving substantial sums along the way. For the best results, apply the frugal philosophy when you purchase furniture, appliances, clothing and electronics.